just know…winter is here. But are you ready? Well, what does it take to be ready for winter? 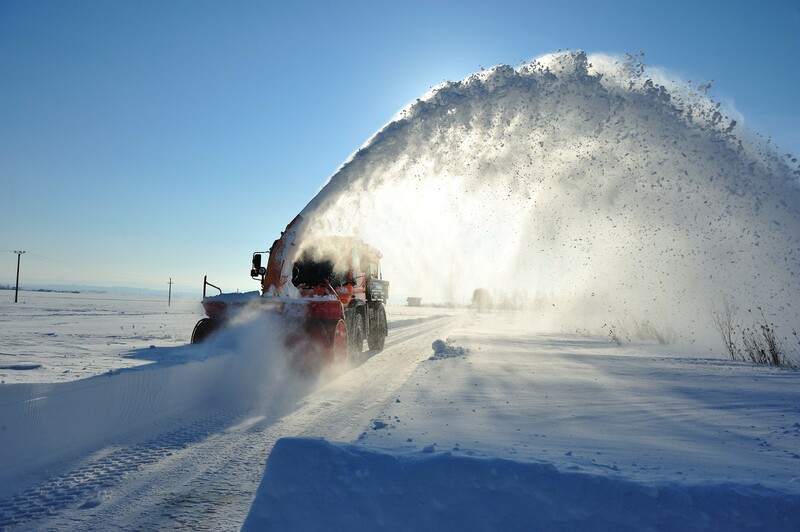 At Snow Removal Insurance Brokerage, we specialize in working with Retail Agents to help secure Liability Coverage for the Snow & Ice Management Contractor. However, it is also important to us that everyone is safe during this time of year, as no one is immune to the effects of Snow & Ice on the roads. There have already been a few fatal accidents in our local area as a result of snow or ice on the roads. With another storm headed our way, it is important to remember that driving during this time of year requires a different thought process and overall awareness. Below are 15 important tips to help keep you protected as you venture out into the unpredictable conditions brought on by the winter season. Inspect your tires. Since fall weather often fluctuates from warm to cold, your tires can expand or contract, which leads to loss in air pressure. Always make sure your tires are properly inflated and have plenty of tread. Tires with air pressure that is too low can reduce grip and cause you to slide more, increasing your chance of an incident occurring. Get an oil change and make sure the oil can handle cold weather conditions. An engine with low oil levels will seize up more easily in the cold temperatures. Test your battery. 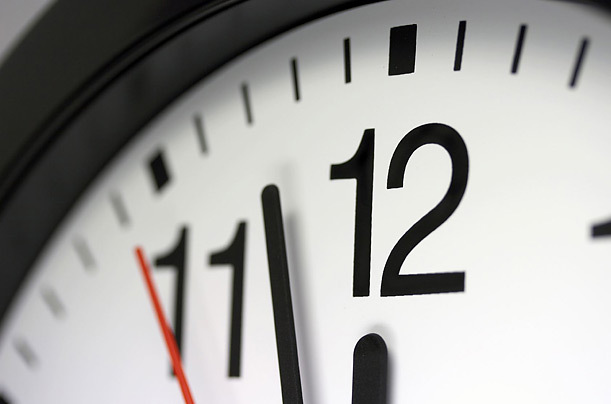 If your battery is more than 3-5 years old, it might be time to get a new one. Make sure your antifreeze is a 50:50 mix: half antifreeze, half water. This mixture prevents the liquid from freezing in low temperatures. You can check your mix when an antifreeze tester, which you can find at most auto parts stores. Stock up on emergency supplies and keep them in your car. Good emergency kits include: a flashlight, first-aid kit, flares, window washer fluid, tool kit, blanket or sleeping bag, gloves, paper towels, deicer, drinking water, extra food, and sand, salt or kitty litter. If it’s wet, dark, cold and/or icy outside, make sure to slow down. 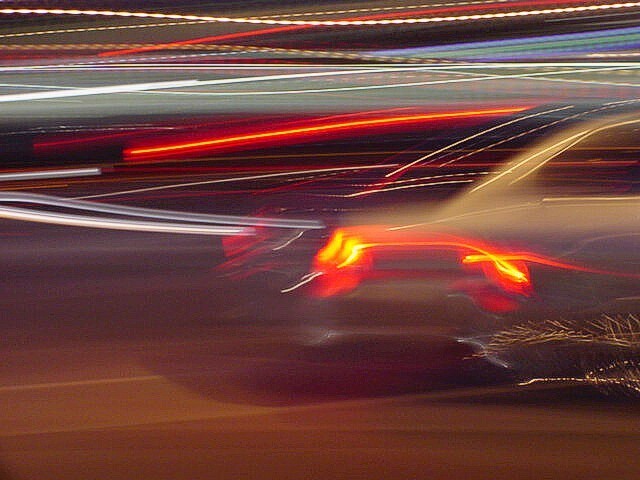 High speeds make it easy to lose control on ice and snow. 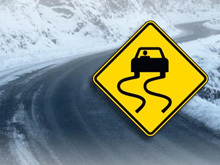 Slowing to below 45mph when icy roads are present is the second best way to avoid an accident. When driving on icy roads, you need at least 3 times more distance to stop. Always make sure you have enough space between you and the vehicle in front of you. Travel can take longer during winter weather, so give yourself extra time to get to your destination; don’t rush. The best way to avoid an accident on an icy road is to simply stay off the roads until the threat passes, if you can help it. Better to be late or reschedule any appointments than to venture out and end up in a wreck. Bridges, overpasses, and shaded spots often form ice before other parts of the road. Keep your phone nearby in case you get in an accident. Be sure to allow time for your windshield and windows to clear before attempting to drive. A foggy or ice/snow-covered car makes for dangerous travel (both for you AND for other drivers around you). Make sure there’s a snow brush or scraper in your car at all times. 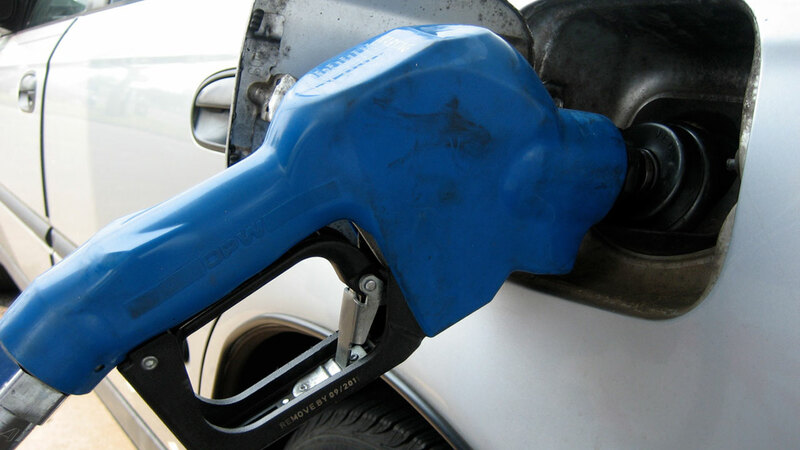 A fuller gas tank prevents your car’s gas-line from freezing. 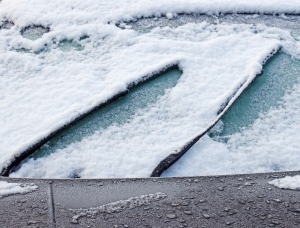 In winter weather, sudden braking often causes your car to skid. 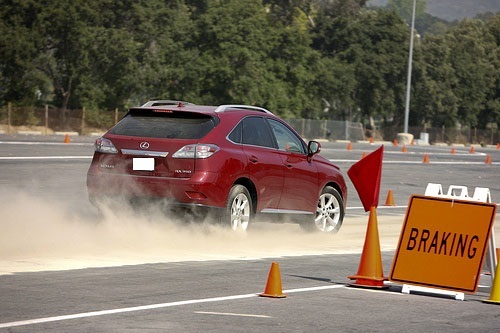 Brake application is a common trigger of slides that result in a loss of vehicle control. ABS (anti-lock brakes) do not work well on ice and snow, and often will lock up your wheels regardless. 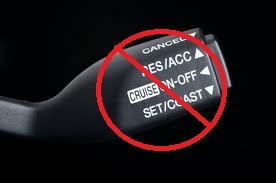 Sliding wheels are uncontrollable, and therefore steering input will not change the vehicle’s direction if the wheels are sliding. Double-check that your exhaust is clear of snow or debris before getting on the road. 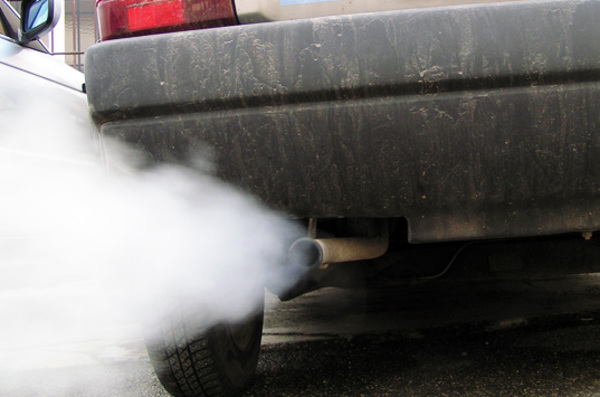 A blocked pipe may cause carbon monoxide gas to leak into your car while the engine is running. 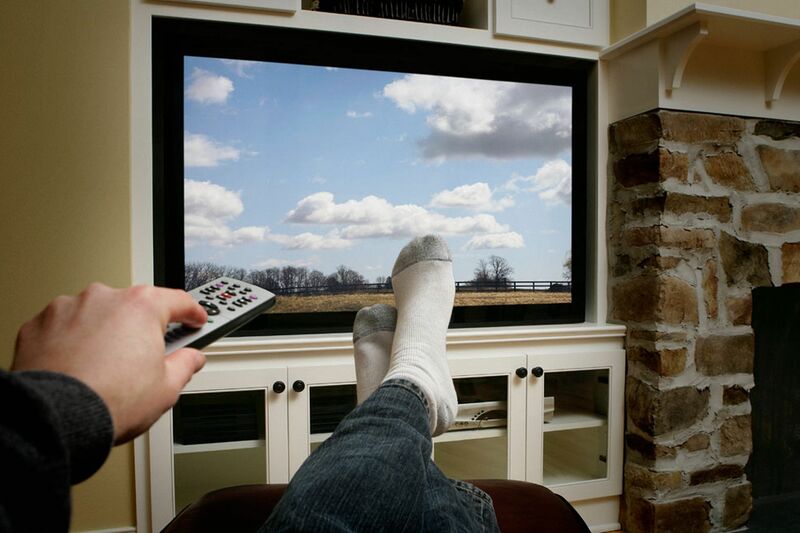 As you know, carbon monoxide is deadly…and we don’t want that. 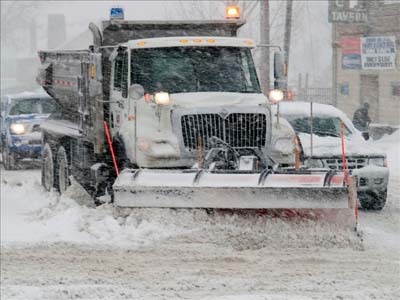 As explained by a local DOT, snowplows have wing plow blades that can extend anywhere between 2 and 10 feet beyond the width of the truck. This blade is often not seen because of the snow cloud being kicked up by the snowplow and can often weigh as much as a compact car. You’re safer to maintain your distance. 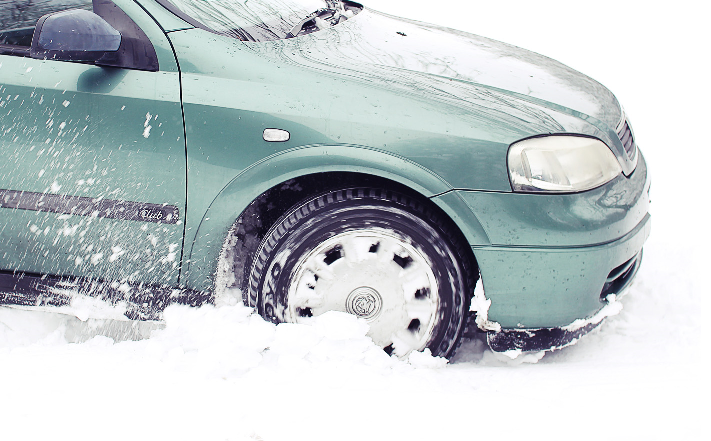 If you get stuck in the snow, spinning your tires too fast can overheat them, which can lead to a minor explosion. Gently rock your car back and forth if you find yourself stuck. 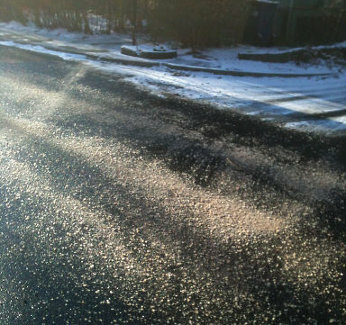 At really low temperatures, salt can make pavement freeze over faster. Don’t observe salt as a sign that it’s okay to speed up; the roads may still be slippery and treacherous. No one has the “skill” to drive on icy/snowy roads. A fishtail on ice that occurs at regular speeds is usually unrecoverable by even the most experienced drivers. The bullet-points above may seem like common sense, but sometimes in the moment, we forget and our instinct (or panic) takes over. Remind yourself often of these suggestions so that when you do come face to face with a slippery situation, you’ll be well prepared!